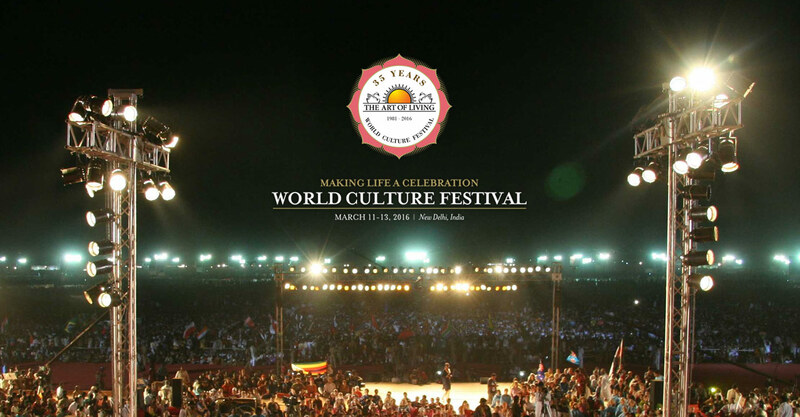 The recent controversy on Art of Living event called World Culture Festival can be added to the bucket list of attempts to shower controversy on each and every Hindu event. It is a plain & simple case of media and leftist hitjob to challenge this event on environmental grounds when NGT stays quiet on grave environmental issues. The Yamuna bed was not only used to construct a big DTC bus depot during the last Commonwealth games but also hosts the Yamuna Bank metro station; not to forget the large number of illegal squatters on its floodplain. Given such huge transgressions, it is difficult to comprehend how a temporary event could have caused irreparable damage. Check this article which reports on how a large section of Yamuna floodbank is captured by land sharks right under the nose of NGT, which finally woke up from slumber but it was too late and the damage was done. Let us not even get into the issue of how NGT was constructed by the kitchen cabinet of Sonia Gandhi i.e. NAC, to understand the motivations of these jholachaps. WCF like event is not planned in a day and must have requested for a permission much before the inauguration, so it is highly unlikely that environmental considerations were not scrutinized before hand. Since the issue came into highlight right before its inauguration, it gives a clear indication of ill-will on the part of NGT. Also, given everything else being equal, finally NGT imposed a Rs. 5 crore environmental penalty. Question is- Shouldn’t NGT have imposed this tax much before the event rather than use it as a stick to beat down Sri Sri? After all, neither AOL was building a permanent structure on the flood banks nor planning to stay there forever unlike in the case of DTC bus depot post Commonwealth games. The hypocrisy becomes even more intolerable after realising that for all practical purposes, Yamuna just represents a fancy drain now since Delhi hardly thinks twice before dumping its sewage into it. Well, ecological disasters should be avoided, but given the current state of affairs, it hardly seems logical that a temporary event can cause irreparable damage while drains are openly emptied into our rivers. The real course of action should have been to levy an environmental tax on Art of Living depending on the cost to clean up the river post event. Having understood the ulterior motives behind this hitjob, it now brings us to understand the support of this event by the supposedly self-proclaimed RW in India. Most of them are actually economic libertarians without much regard for cultural Hindu nationalism. It is in controversies like WCF that the true affiliations of the economic RW comes out. This became amply clear by reading this piece by R. Jagannathan in SwarajyaMag, the magazine which carries Read India Right on its logo. The annual Haj, where millions of devout Muslims travel from all over the world to congregate in Mecca, is probably the single biggest cause of religion-induced damage in the world an ecologically sensitive desert zone. Our Kumbh Melas, Ardh Kumbhs and various spiritual congregations in many temples and fairs too do enormous damage. For example, the Hindu ritual of cremating our dead on the banks of the Ganga and immersion of our ashes in various rivers and seas is another factor in this ecological crisis. It is time to show that same creativity now by converting our cremation and other ceremonies to symbolic events with limited human damage to our rivers and the air. It is highly non-scientific to blame cremation ashes as an environmental concern when most of the rivers are polluted by tanneries and other industries which dump massive chemicals into the rivers thus making them not only carcinogenic but also depleting precious oxygen content to kill all kinds of flora-fauna. All rivers in India are equally or more polluted than Ganga, even those that do not have same spiritual significance and hence no cremation dumping. It would have been sensible for him to ask for better checks and balances such as not dumping half-burned bodies into the river. But he took a typical liberal stand on this issue and demanded to change the whole rituals to suit the agenda of the new environmental fundamentalists. There is no reason to not believe that given human intelligence and efforts the rituals cannot be done in a ecologically sensitive way. Sadly, the fact that rituals nurture a society is beyond grasp of our self-proclaimed libertarians. The death of Hindu rituals will only mean death of the civilization as we all know. This is very well known by the leftists and hence they carry out such hit-jobs to kill the rituals to soften Hindus and de-racinate them thus making them easy targets for western propaganda and evangelists. If you analyse carefully it is the same underlying agenda which runs from Jallikattu ban to current controversy. Environmental fundamentalism is new addition to the list of tricks being employed to kill rituals and economic RW is more than a willing accomplice in helping this agenda. So what should be the message of Hindu RW to R. Jagannathan and his friends? Thank you guys, we understand the damage done to India by the socialist economic policies of Congress and we like your economic prescriptions. But if there is a clash between economic libertarianism and culture, Hindus will stick to their cultural roots. Economic progress by cutting down the Dharmic roots will be too big a cost for modernity. The below picture from Adarsh Liberal perfectly sums up the leftist agenda to de-racinate Hindus, question is should we now add R. Jagannathan to this list?